You’ve boosted armour up to max, selected self-revive and an extra grenade, but there’s so much more hair-raising potential within the Warlock’s book of space-magic spells. The advent of Destiny: The Taken King means new sub-classes for Guardians, ushering many more strategic considerations for Warlocks, Hunters and Titans. Which is awesome, but throughout our [redacted] hours spent in Destiny, we still meet Guardians whose understanding of their existing sub-classes could use a boost. So, for the next three weeks, we’re running a crash course in sub-class supremacy that ought to make Skolas less scary and Iron Banner fun instead of frustrating. 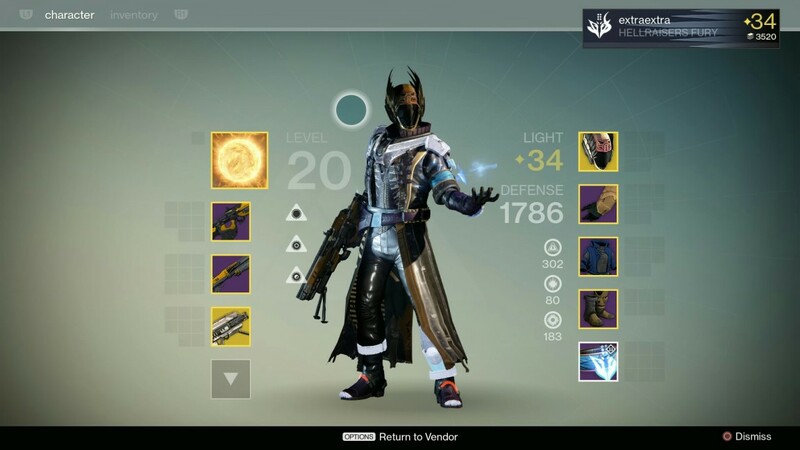 On the most basic level, Voidwalker is the offense-oriented Warlock subclass while Sunsinger can be characterised as support. This is likely why Destiny provides Voidwalker as the newbie default, not least because everybody wants to hurl that Nova Bomb. Then you hear about guys returning from the dead, and unlocking Fireborn as Sunsinger is the next thing you care about… more than sleep. Narrowing down your responsibilities even further, just think of the Warlock as a zone-marking defender as opposed to man-to-man. Area-of-effect capabilities keep PvE under control, allowing Hunters and Titans to crush specific targets. In PvP you create no-go areas to limit rival freedom. This is our first choice for PvP, though as much for the Blink modifier under Glide as it is for the ridiculous area coverage of Nova Bomb and Vortex grenades. Blink, making you vanish for a split second while teleporting, is an art well worth perfecting though it isn’t available to Sunsingers. Voidwalkers favour an aggressive style that capitalises on Super energy boosts from melee strikes, and constant harassment from grenades to keep rival teams on the run. Each melee activates Energy Drain, modified to boost movement speed (Surge), absorb health (Life Steal), or reduce cool down for the Super (Soul Rip). It depends how confident you are as a player, but Soul Rip will keep that kill streak going while Life Steal gives you better odds of surviving a shotgun-melee dual. 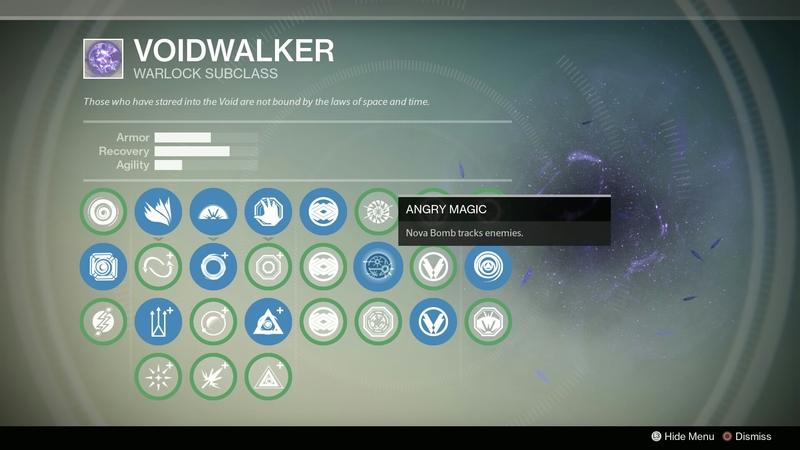 Usually you’re going for Annihilate modifier that increases the size of explosions from the Nova Bomb and grenades. It’s the catch-all solution because grenades get the boost too. However if you’re running an Intellect heavy Warlock on a wide-open map, Angry Magic is fun to watch pursuing its targets across the field though only if you’ve chosen Vortex. And on a related note, Vortex grenades are better suited to PvP, especially during objective-based games. Since you’ll want to present the hardest possible target to hit in PvP, Arcane Force combined with Chaos Order are highly recommended. A Warlock is nowhere near as fleet-footed as a Hunter, and can’t out-tank a Titan. You need to be a wraith on the battle field if you want to be feared. 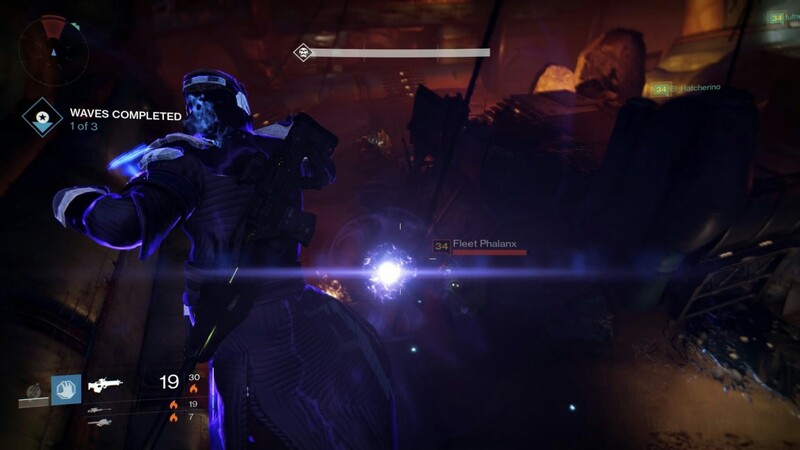 In PvE the focus turns to containment for the Voidwalker: taking down multiple weaker foes by leaving them cooking inside the Vortex, making it safer to turn your back. 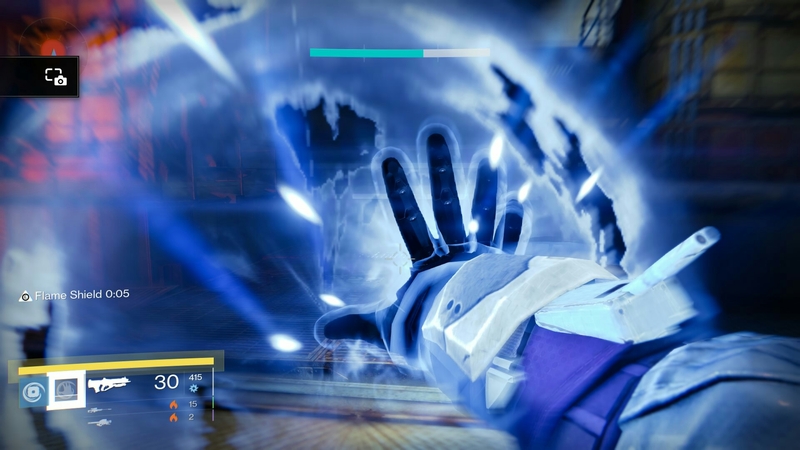 Arcane Spirit and Ancestral Order are a winning combination if you’re in the Vault or smashing a Void burn Nightfall. Nova Bomb set to Shatter, and Vortex grenades that Scatter are monstrous especially if augmented by the Obsidian Mind exotic helm. When dealing with busy areas such as The Abyss in Crota’s End, or during the approach the Temple of Crota, Soul Rip keeps that super meter climbing. Using Bloom, causing enemies to explode if killed by abilities, is the absolute finest way to clear an area of Thrall. Otherwise Embrace the Void is the go-to Ability Modifier as it triggers the Energy Drain effect to keep the grenades flowing – just make sure that your armour settings favour Discipline. Let’s start with PvE here because, in our view, it’s where Sunsinger Warlocks are most appreciated. The Radiance Super Ability provides several benefits to not only your Guardian but the team, and this is especially true when digging in to finally defeat Skolas. One of the most overlooked choices is Song of Flame, which reduces grenade and melee cool-downs of all allies within a 10 metre radius. Rather embarrassingly, Fireborn (self-revive) becomes glued to most Guardians, in fairness because Song of Flame only benefits teams while working close together. During story missions and Crucible in general, Song of Flame is useless so forgotten. 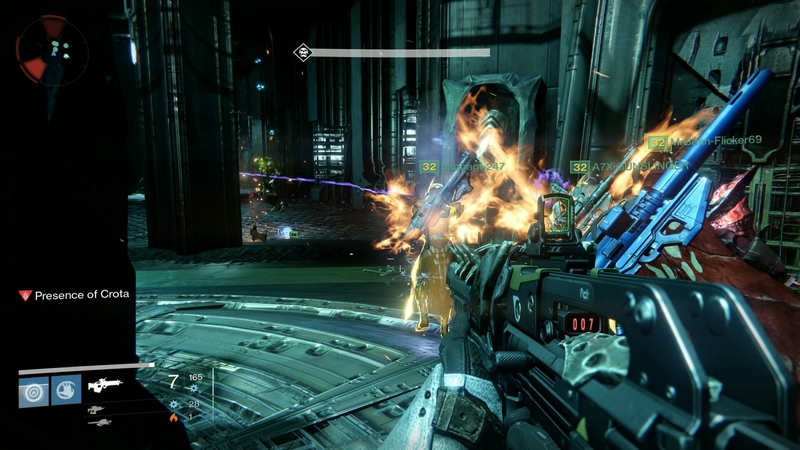 Prison of Elders, however, has put Song of Flame back in focus owing to fireteams forced to become a defensive unit. 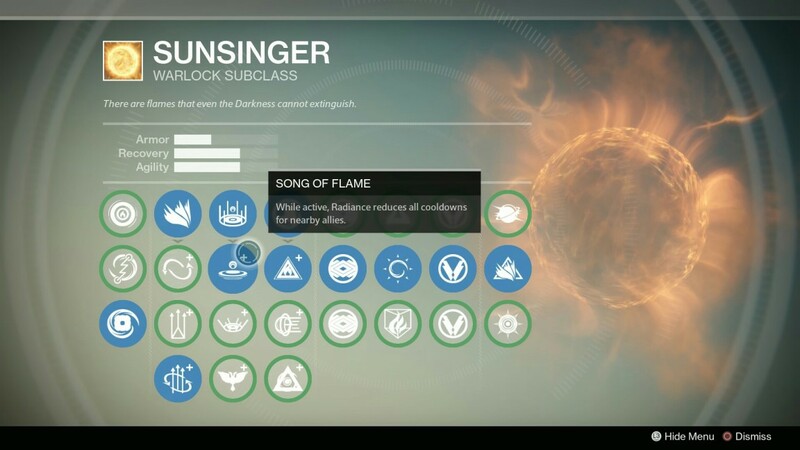 Song of Flame reduces cool downs from around 60 seconds to just 10, and down to 7 if your Warlock is wearing Heart of Praxic Fire. Combined with Radiant Will, extending the duration of Radiance, Song of Flame is incredibly useful. 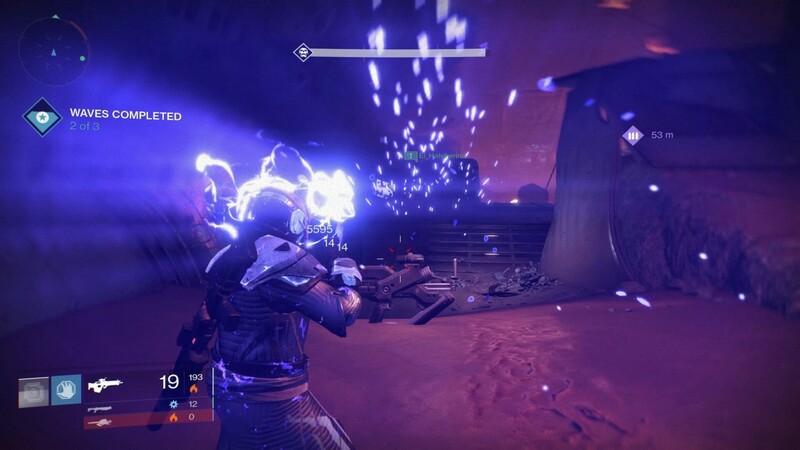 But before we criticise Fireborn users too harshly, the self-revive service is still appreciated in the level 35 Arena, especially to absorb the poison while fighting Skolas. One last word on PvE before discussing how Fireborn – goddamn it – has become such a boon in PvP also: the Flame Shield melee modifier is a great personal life-saver; though you may be tempted to select Brimstone to have the enemies explode. Smacking foes before wading in with your favourite shotgun is a fine sport, and it’s more useful in PvP than Solar Wind that only staggers when it lands. Across PvE and PvP our grenade of choice is usually Fusion. It’s basically the Sticky Grenade of Halo fame, which has just as much chance of wiping the floor of weaker enemies if thrown into a crowd. Combined with Radiance, Fusion grenades are awesome in busier sections of both Raids. However they’re also a menace in PvP; magnified to heads of nearby Guardians to guarantee instant death. In PvP especially, Viking Funeral becomes your best friend. It’s not quite Thorn levels of annoyance for those afflicted, but a weakened adversary may as well toss the controller if whacked by this. So, Fireborn: it has always been a cheap tactic to ‘surprise’ rivals after being killed in PvP as you’ll generally get your own back if only to even the score. But the arrival of elimination mode Trials of Osiris has made Sunsinger Warlocks the new superstars, though everyone is wise to the situation. High chance of a self-resurrect from the second round adds spice to the proceedings for everyone. And a deceased Warlock’s soul in possession of Purifier Robes is avoided like the plague, since self-revive blinds anyone close by. Finally, only a Bladedancing Hunter is more irritating than a Sunsinger approaching with Radiant Will and Gift of the Sun with Fireborn prepped as a death wish: damned if you do, damned if you don’t.